So after a long wait we finally receive the HackRF One plus its telescopic antenna in the post! 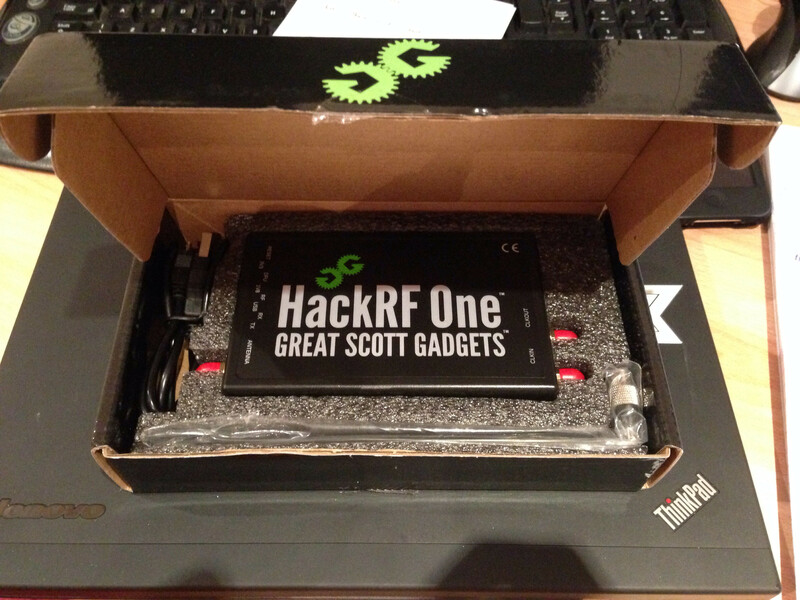 HackRF – Long time a coming! Having played plenty with RTL-SDR dongles already, it was just a case of plug and play to see it working with GQRX. We started off with gawking at 20Mhz being displayed instead of the 2Mhz of the TV dongle and briefly listening to broadcast FM which is like the “hello world” first step of SDR reception to see it was working as expected. Opening the HackRF case required using a small screw driver to pop the holding clips in and working the way around after loosening the SMA nuts, it didn’t make too much of a mess thankfully. HackRF with the lid off.